The Kia Ceed has grown up. Not only has it ditched the apostrophe from its name, it has evolved its design and enhanced its interior quality. 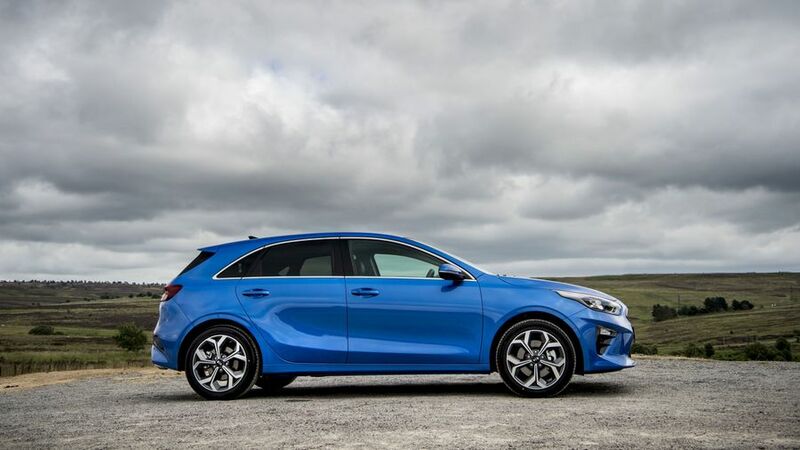 It’s even closer to its main hatchback rivals, with more safety systems, a new diesel engine and the prospect of mild hybrid versions to follow. Oh, and it’s still got that seven-year warranty. 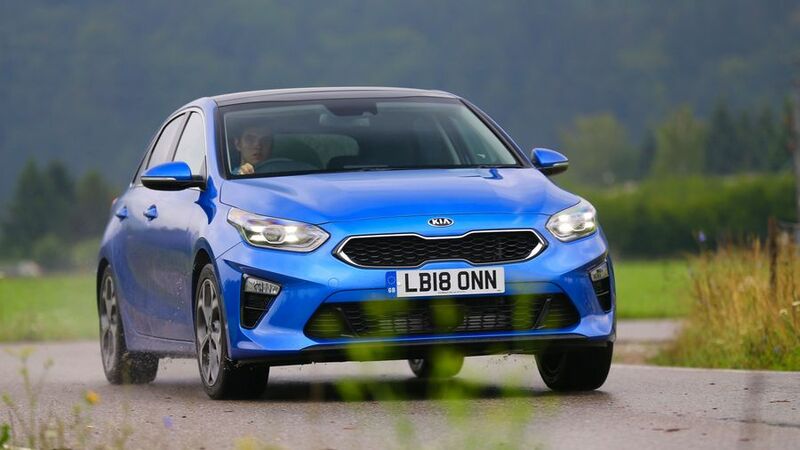 The new Kia Ceed remains a good value buy, with decent build quality and adequate performance that isn’t likely to leave you feeling short-changed. Those looking for scintillating performance are unlikely to be impressed, but the Ceed ticks lots of boxes for a lot of people, so it's definitely worth a look if you're after a mid-sized hatchback. Most refined drive with good performance. Lower powered diesel, but has the best emissions and fuel economy. Least powerful and fares worst for fuel economy. Interested in buying a Kia Cee'd? This third generation Kia Ceed is, by most standards, a smart-looking machine from almost every angle, and while it doesn't scream "look at me! ", it has an impressive presence whether it's standing still or moving. All models come with at alloy wheels and front fog lights, starting with the 2 model that rides on 16-inch alloys, while the Blue Edition and 3 models have 17-inchers for a beefier look. The Blue Edition also gets some brighter LED headlights. 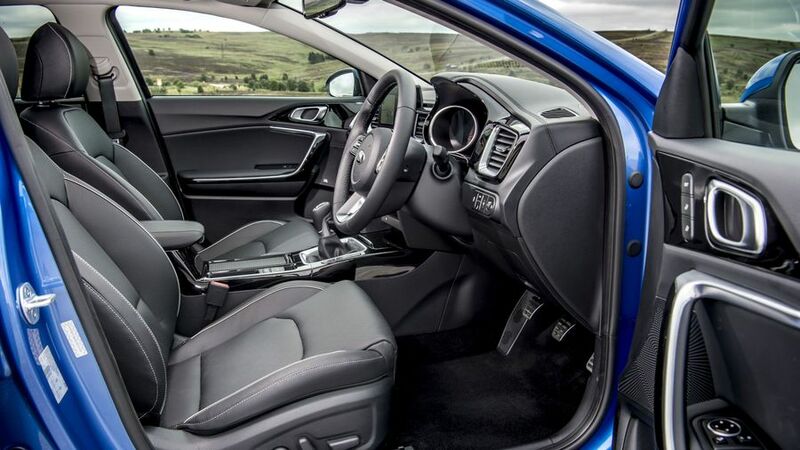 The interior of the Ceed is sensibly laid out, and ergonomically it all works rather well. From the driver’s seat, the instruments are clear and easy to read, with a digital display nestled between the large analogue dials. All models get a touchscreen infotainment system, which comes in either 7.0 or 8.0-inch guises, according to specification. These also offer full smartphone connectivity. There’s also the option of a useful wireless charging pad (standard on the First Edition) that slots in beneath the climate controls and keeps your phone out of sight; and away from temptation for the driver. The overall impression is lifted by the improved materials that feature throughout the interior of the Ceed. Most touch points are free from cheap plastics, and it all seems well put together. The Ceed feels spacious in the front, but the rear might be a bit tight for taller passengers. Kids will be fine, but legroom and headroom for the loftier occupant is at the lower end of acceptable. 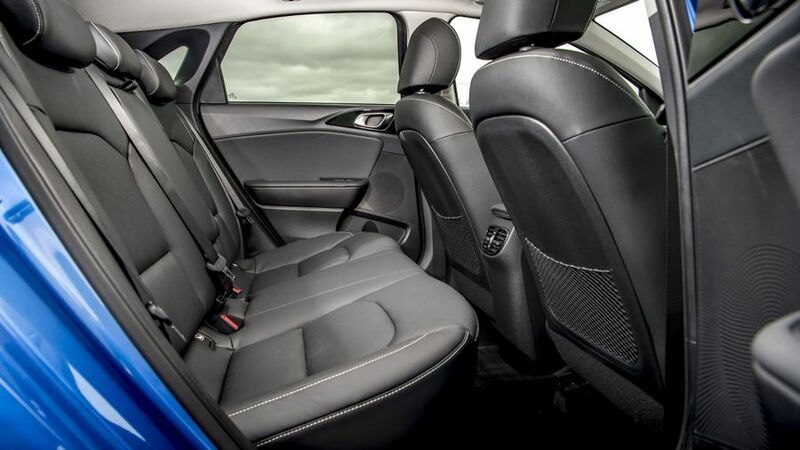 As with most small hatchbacks, the middle rear seat is smaller, but is fine on shorter journeys. While the latest Ceed is roughly the same size as the previous model, the boot space does increase by 15 litres to a 395-litre total. The load height is also now lower, and a movable boot floor can be raised to give a virtually flat platform, meaning you don't need to lug stuff over a lip. 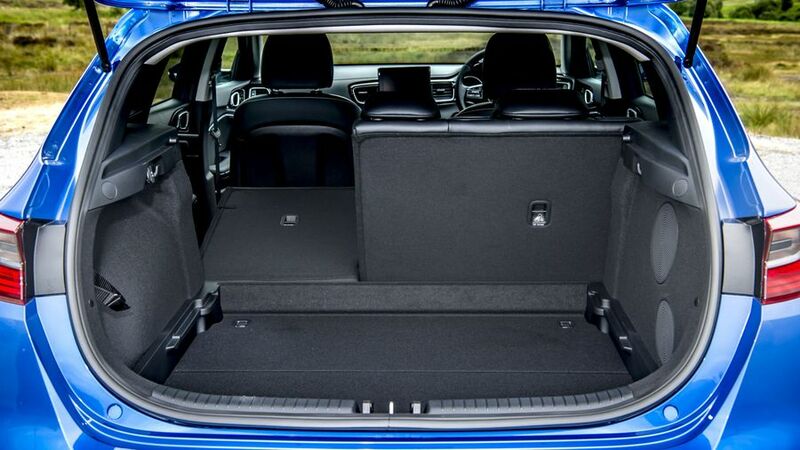 The rear seats can be tumbled forward in a 60:40 split to boost cargo space to 1,291 litres. Inside the cabin, there are several storage areas, all of which are usefully sized. The front door bins can carry water bottles, along with other smaller items, while two cupholders nestle in between the front seats. In addition to the wireless charging pad, the 12-volt socket and USB port in the front are easy to reach and shouldn’t leave you with cables running everywhere. A cover closes over these when not required. The Ceed has quite a sophisticated suspension set-up for this size and price of car, and as a result it drives rather well. It strikes a nice balance between surefooted handling with a plenty of composure around corners, and a comfortable ride that massages out bumps in the road nicely. For some, the steering might be on the heavy side, and it's not the sharpest set-up, but for everyday, non-enthusiastic drive, it's absolutely fine. Automatic models in Blue Edition and 3 trims come with a Drive Mode Select feature that lets you alter the characteristics of the engine and steering to make it more relaxed, or more sporty. However, we haven't yet had the chance to try a car with it fitted. There's a choice of two petrol engines and one diesel. The 1.4-litre petrol option is the most powerful option, with 140 horsepower for impressively fizzy performance, and it's also the smoothest and quietest engine on offer. You can have it with a six-speed manual gearbox, but the seven-speed dual-clutch automatic is smoother and reasonably responsive. If you prefer zipping about town, you might be more interested in the turbocharged 1.0-litre three-cylinder petrol engine. It’s by far the most characterful of the line-up, and despite being one behind in the cylinder stakes, it still puts out a healthy 120 horsepower. This unit is only available with a six-speed manual gearbox, and the long top gear means it can cruise comfortably at motorway speeds. 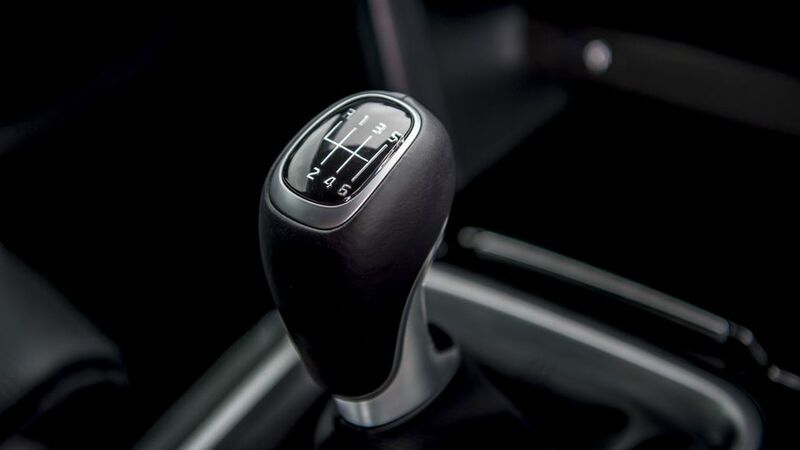 Opt for the manual gearbox with the diesel engine, and it can feel quite sluggish as the gearing sacrifices performance in favour of fuel economy. However, we've found that the same engine with the seven-speed automatic gearbox makes for a more enjoyable drive. The slick-shifting dual-clutch auto maximises the diesel engine’s nature to keep revs to a minimum while still moving the car along at a healthy pace. 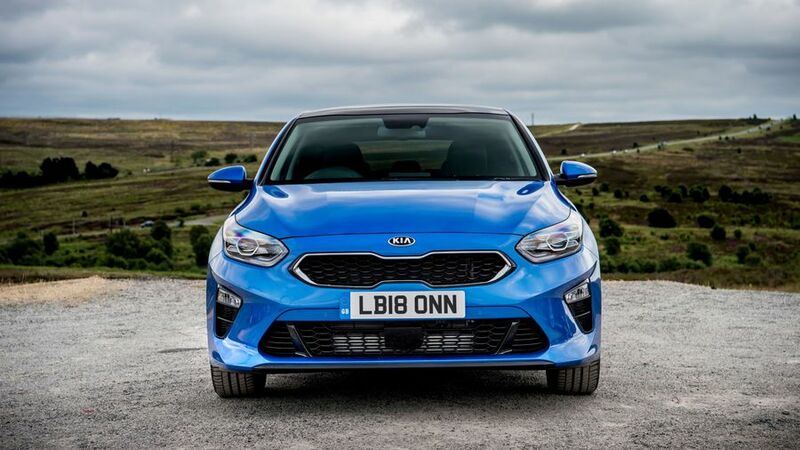 The Kia isn't quite as cheap compared to the opposition as you might think, but it still represents good value for money thanks to fairly generous equipment levels. Compared to rivals such as Ford's Focus, or the Volkswagen Golf, the Ceed can't compete on fuel economy. However, it's broadly in line with the Focus in terms of purchase price, and cheaper to buy than the equivalent Golf. The Kia is also cheap to service and maintain. The VW's impressive residual values, however, mean that overall, all three are broadly similar in terms of running costs. Kia has an excellent reputation for reliability, having been named the third manufacturer overall in JD Power's 2018 Vehicle Dependability Study. It was first in 2017, so has maintained a very good record of late. As standard, all Kia models come with an industry-leading factory-backed seven-year (or 100,000-mile) warranty, so even picking up a low-mileage used model should keep you covered. 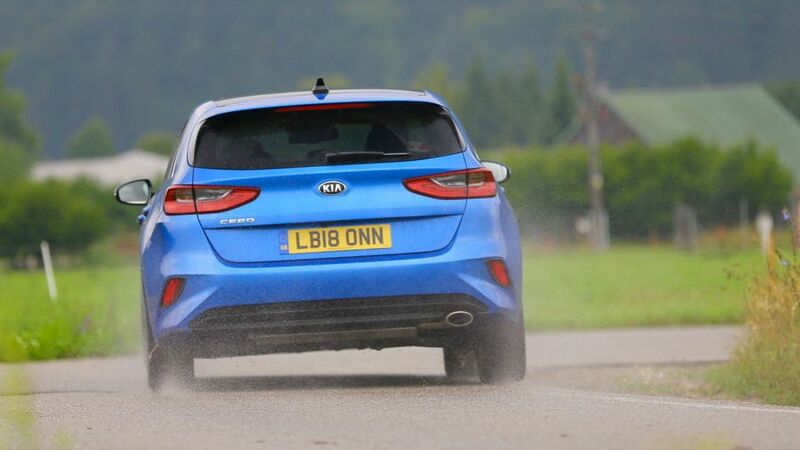 The latest Kia Ceed hadn't been crash tested by safety organisation Euro NCAP at the time of writing, but we'd be surprised if it doesn't score the maximum five stars. It features seven airbags as standard, along with a host of driver assistance systems to help mitigate the risk of a collision. Additionally, the new body shell is stiffer than before, which should further aid passenger protection in the event of an impact. Other standard safety items include High Beam Assist, Driver Attention Warning, and Lane Keeping Assist with Forward Collision Avoidance Assist. This scans the area in front of the car and can detect pedestrians, warning the driver when it senses a risk. Buyers can specify an upgraded Lane Following Assist. This advanced cruise control tracks the vehicle in front with radar sensors while keeping the car within its lane. At speeds up to 80mph, it can speed up, slow down and control steering depending on the traffic in front. An array of sensors contribute to a variety of additional safety systems that are available. These include Smart Cruise Control with Stop & Go function, Blind Spot Collision Warning and Rear Cross-Traffic Collision Warning to help you when backing out of a parking space, while Smart Parking Assist can help you get into tighter ones. The Ceed comes in three trim levels: 2, Blue Edition and 3, as well as a limited-run First Edition for early adopters. The 2 is the entry-level model, but isn't particularly sparsely equipped. It comes with cloth upholstery and two up-front 12V power sockets, but no USB charger as found on other models. 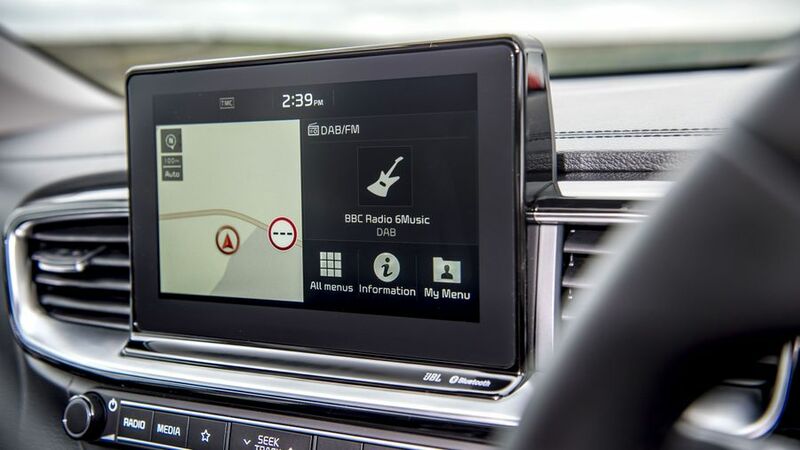 A six-speaker sound system, along with Android Auto and Apple CarPlay, is standard, operated through a 7.0-inch touchscreen, but there's no sat-nav. Upgrade to the Blue Edition and you'll get navigation on a larger 8.0-inch touchscreen, and the upholstery gets some faux leather on the seat bolsters. The 3 adds more lumbar adjustment on the driver's seat, upgraded dual zone air conditioning and a larger colour display on the instrument panel. The First Edition comes fully loaded, with an upgraded JBL sound system and wireless phone charger and upgraded parking sensors, as well as a Blind Spot Collision Warning System. 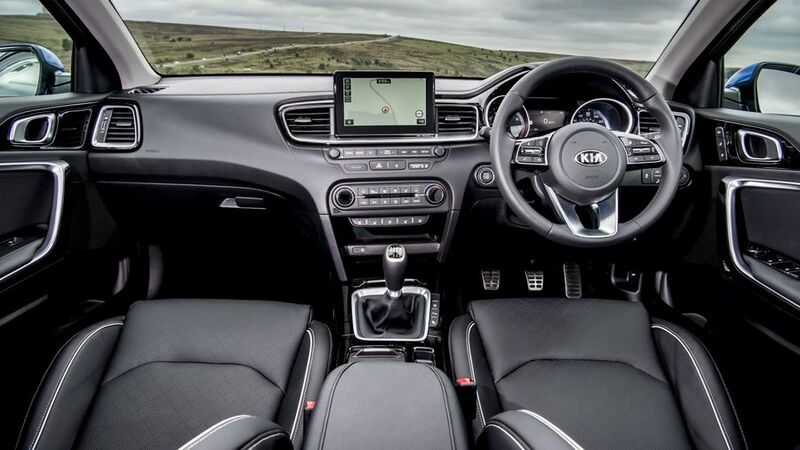 The Kia Ceed is a desirable and stylish car that offers good levels of standard equipment and a choice of engines that should cover most buyers. It might not provide the premium feel of a Volkswagen Golf or the dynamic capability of a Ford Focus, but it's entirely competent in every single area and comes with an excellent warranty. It should be on the shortlist for anyone looking at a car of this size.